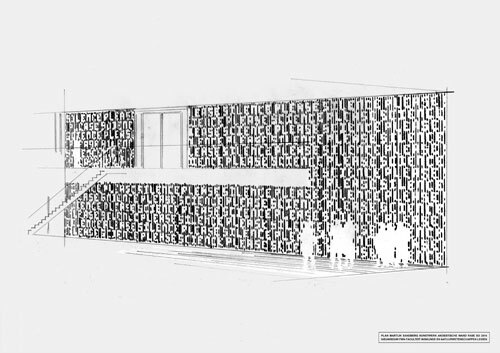 Click here for photos of the completed artwork, in the section 'public artworks'. Scroll down for concept drawings of the artwork 'Silence Please Science Please'. 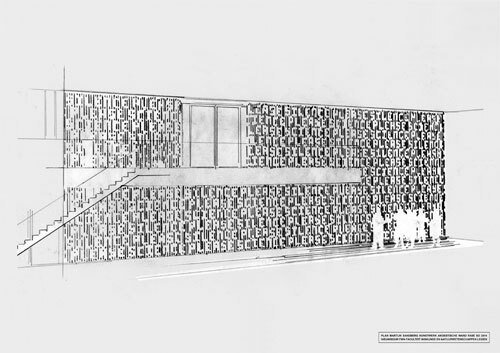 'Silence Please Science Please', concept drawing by Martijn Sandberg of acoustic wall, sketch, 2014. Project: Site-specific artwork, Faculty of Mathematics and Natural Sciences FWN, Leiden, 2014-2017.